AVG combines the best of both worlds, putting together their award-winning AVG Internet Security - Unlimited antivirus suite and their AVG TuneUp - Unlimited program to provide you with both a solid line of defense against malware and the ability to easily speed up your PC, update outdated software, and free up disk space. Let’s talk about the antivirus part of AVG first, AVG Internet Security - Unlimited. AVG Internet Security - Unlimited provides the same solid protection of AVG AntiVirus Free, with several additional defensive programs added to the suite. AVG Internet Security - Unlimited protects against hacker attacks and has several real-time analyzation features, like Real-Time Outbreak Detection and a Software Analyzer to help protect against malicious programs, keyloggers, and other threats. By combining their solid antivirus software with AVG Tune-Up - Unlimited, AVG tries to create a full suite that can handle all of your protection and refinement needs. While AVG Internet Security - Unlimited scores fairly well with AV-Test, it falls behind some of the similar antivirus suites out there. The superior malware blocking is balanced by lackluster scores in antiphishing protection and defense against very new malware-hosting URLs, as well as limited protection for Mac computers and iOS devices. A major issue is that AVG can be disabled; because it relies on four Windows services, any of those being disabled renders AVG at least partly crippled. However, AVG does protect the majority of these services against outside meddling, so it tries to defend against any attempts to disable it. AVG offers a solid package of two of AVG’s most popular programs: AVG Internet Security - Unlimited and AVG TuneUp - Unlimited. 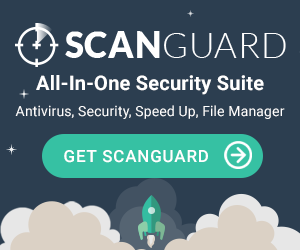 By combining a solid antivirus program with a top-level tune-up utility, AVG covers all your bases, improving your computer’s boot time and overall feel with deep system scan and repair abilities and real-time system monitoring. Final verdict? AVG is a solid package with a history of reliability, but there may be other programs that will work better for you. AVG received 84% for Protection and 92% for Performance, with a solid 100% score for Ease of Use. It also received a 100% score for available features, as the suite does provide a huge range of protection and improvement features. AVG costs $99.99 a year to protect unlimited devices, and while the suite itself does not come with a 30-day free trial, both AVG TuneUp - Unlimited and AVG Internet Security - Unlimited do. If you’re not interested in AVG TuneUp - Unlimited, you can also purchase AVG Internet Security - Unlimited on its own for $69.99 a year. This may be a better option for a beginning user who isn’t sure how to make the best use of the features that AVG TuneUp - Unlimited offers. AVG has a huge host of software features wrapped in an easy-to-use interface. AVG offers a vast array of features and protections that could be very appealing, especially to more advanced users looking to fine-tune their device defense. AVG has the same clean, easy-to-use interface as AVG Internet Security - Unlimited, with windows letting you view basic and full protection, notes telling you when your last scan was and information about your virus definitions, and a toggle to swap between your antivirus and your AVG TuneUp options. The mobile interface is similarly clean and easy to read. However, some of the options available may be confusing to beginning computer users who don’t know as much about device optimization, and you must click either the “scan computer” button at the bottom of the user interface or the “menu” button at the top right to get full access to all of your options. So, while the interface looks very nice, AVG may be more difficult to use for people without a lot of antivirus suite experience. AVG is dedicated to customer support, providing personalized assistance through the MyAccount portal on their website as well as a general support hub that’s easy to read and understand. Phone support is available both on weekdays and weekends, as well as live chat and ticket support options. If you prefer, you can also reach out to AVG via email and social media, or engage with other users in the AVG Support Community. Overall, AVG works very hard to make sure all users of any of their products are able to get the help they need, when they need it. If you are using Windows 7, Windows Vista or Windows XP 32-bit, install a newer service pack to be able to install and use AVG. AVG Internet Security - Unlimited and AVG AntiVirus Free are not supported on Windows XP 64-bit, Windows 2000, Microsoft Windows Server, or any operating systems which are not specified. Internet connection is needed to download, activate, and maintain updates of the program and antivirus database. AVG has been in business since 1992, and many of their antivirus programs have received awards from independent industry tests. AVG Antivirus FREE received a PCMag Editor’s Choice award, and AVG Internet Security received 4.5/5 stars from Softpedia. AVG offers a wide range of protection, performance, and privacy solutions for consumers and businesses, and recently became a part of the Avast family of digital security products. They have clients around the world, and are dedicated to online security for homes, families, and companies. If you’re looking for a strong, reliable antivirus and PC tuneup program, AVG is a solid choice. The ability to use AVG with unlimited devices for a relatively affordable price is a huge plus, and AVG Internet Security - Unlimited is a solid antivirus suite with a huge array of features for protecting your desktop, laptop, and mobile devices. If you’re not interested in AVG TuneUp, you can also purchase AVG Internet Security - Unlimited on its own, and you’ll still get a powerful antivirus with a history of effective malware defense and in-home protection. We think that AVG - and all of the AVG antivirus options - are great choices for the home user. "AVG was not my first choice for an anti-virus software, however I have found it to be the best I have used. The interface is excellent and very accessible. It is easy to navigate between the different services provided (i.e. internet security, firewall, etc.) and the settings are straightforward. I purchased AVG for a year and have since downgraded to the free version, and one of the biggest selling points for AVG in my opinion is what you get for free. I feel that my computer is safe and secure with the free version of AVG. Most of the packages offered with the paid version are more for convenience than anything else. That is something I have struggled to find in other anti-virus software providers. I have no plans of changing my anti-virus software in the near future. In my experience, AVG is the most user-friendly and secure option out there." "I have tried AVG anti-virus software a few times over the last several years. While it may not be my top favorite it is right up there. I think that a huge factor as to why I like AVG is that they do offer a free version. The last time I downloaded it just a few weeks ago it was because my old software had expired and it was just not in the budget to buy new at the moment. While I did start out with the free version of AVG anti-virus I have upgraded to the Ultimate because I wanted some of the features that were not on the free version. It was rather expensive, actually the most I have ever spent on anti-virus software, but I love the secure shopping feature and it does allow me to install on all of our devices. I shop way too much online and love that added piece of mind that this software offers." "I started using Avg back in 2015. I used the 30 day free trial version. After the trial period had ended I continued to use the basic free version. Pros: When I first installed the software; it automatically requested that I scan my computer. I was advised of the unnecessary files I had on my laptop that were taking up space. It then cleared up any junk files that were present on my laptop. When it came to threats it warned me of how many I had, as well as the process to get rid of the them for me. Being able to navigate through AVG if I wanted to scan my computer on my own, check for any viruses or threats, and see if I had any unnecessary space on my laptop was a plus. The software always sent recommendations on how to improve the functionality of my laptop. Cons: As a huge Sims addict, I download tons of mods and custom content for my game. The game itself is huge and requires lots of space. There as been only one occasion, that I can recall where a file was suspected of having a Trojan. All the other files were flagged as completely safe to use with no issues. Great right. Wrong. My game had a ton of issues. Some of the mods and custom content I downloaded had viruses and caused my game to malfunction. I had to download other software, to ensure there would be no problems with my game. I can't really say that I trust using AVG for my game. However, the other features AVG offered generally work well. The basic version may not really do much compared to the versions that cost money." "AVG has been around for quite some time. I have seen different versions of this antivirus but I must say it gets scarier to use every time they upgrade the software. The reason I say this is when you run the scan, you really can't tell what it is really doing. With AVG Ultimate there are lots of features, but I hardly use any of them. The only reason I bought it was so that my emails would be protected (not included in the free version). The good side is that AVG is easy to use. Almost anyone can figure it out. Now I will say that AVG is cheap when compared to other products, but it seems they throw in too many extra features when you buy it, thus jacking up the price. Ultimately, I do trust AVG - they have been around like forever!" "I operate a computer with an antiquated system for a few online needs. I have experienced viruses like ransomware twice with antivirus protection that I've had to buy. Since I've used the AVG, I haven't had one virus. This software does however, alert me almost every day when I've been exposed to dangerous sites and files. When AVG senses a potential threat, it does slow my computer down. This is probably due to the age of my system and never fails to get my attention by using a small pop-up window. This window list all the threat types that are encountered, and if the virus block is successful, or not. I've had no problems with viruses, so it is doing its job very well. Absolutely worth the price because its protection is flawless. The yearly software updates are also free, but there are advanced system options to purchase if a person chooses. I also love the feature that allows me to choose when notices and updates are displayed." "Very easy to use, updates and scans regularly. Gives small, unobtrusive notifications that can be accessed later. Allows both scheduled and manual scans to be done. Very specific targeting." "Simplicity of the install and ease of use. Extensive virus database that is updated regularly and evolves with latest in antiviral trends." "I think the most prominent thing about it was that I could use software for various attacks from firewall prevention to keyloggers. Also due to various other viruses prominently attacking my system." "AVG Security is already proven and chosen securty service by majority of people. The trust is most important thing for this kind of softwares. And AVG did excellent job by its reliability and being trustworthy program. Especially useful for defending and protecting your data from malware and other threats." "t has data privacy protection, malware protection for employees, updates automatically, phone support and windows 10." "this is a very good antivirus service witch requires dowloading if you search the web alot it has so many features witch i find very usefull such as linkscanner,computer scanner,email scanner and much more this is a top antivirus highly recomemd." "This is a really good antivirus that you can use without expending a dime. With the free version it covers a lot of great features"
"Comprehensive Internet protection including mail server, file server and endpoints. It offers scanning of email attachments, downloaded files and firewall protection. It protects the workstations without slowing down the systems"
"I did not remember when I started using AVG, but it is excellent for protect your data from internet threats. AVG works so well and tools are perfect. I have not saw any mistake or errors. Believe me guys it is reliable software." "We have used AVG on our stores computers because they are hooked up to the internet and we never had any problems at all. The software has always worked very well for us." "With computing having evolved to all kinds of devices and vulnerabilities you need good protections in place both for personal and business. I use AVG because it has a fair price and so far has been reliable." "I use this for our PCs at home and it's been good so far. It easily scans for viruses, malware, and will also clean up any registry files that might be taking up space on your computer. One of the hard drives were full and with the "space clean up function" I was able to delete over 30gbs of unwanted backups and software updates." "AVG is one of the few FREE AV products that I believe in. Their product is lite but powerful. It catches both local threats and also browser threats. I also use AVG on my Android phone to protect me from intrusions." "My work computer was running extremely slow and I couldn't figure out why. I had some free anti virus that apparently wasn't cutting it. The Business package brought my stuff back up to speed." "We've primarily used the free version of AVG, but I recently got to use the paid version as well. The system has a very easy-to-use dashboard which alerts you to useless files, and programs that are slowing down your computer. We use the free version throughout our office and haven't had any significant issues (knock on wood). That said, I really didn't notice a huge difference in speed or performance when we used the paid version, so I can't say it's completely worth the money. Haven't really used customer service either, so that rating doesn't mean much!" "If I didn't see a little notification in the bottom corner of my screen pop up everyday I would not even know when AVG was running a scan. I do not notice any reduction in operating speed like some of the other products available. It also scans every email, and website, and alerts me to unsafe sites. I also like the 'Do Not Track' feature." "I give this program an A+. Works great for Internet Security. Would definitely recommend this product." "Inexpensive and effective internet and file security software that does the job." "AVG does as good as a job as other firewalls out there. I like that it is constantly running in the background, without interfering with my computer's performance, and that it always updates automatically, staying current and new." "Not a bunch of pop-ups associated with AVG, unlike some of the other Internet security downloads. As far as I can tell it does a great job of protecting a computer against viruses and other unwanted malware."